There may be no other place like this on earth. 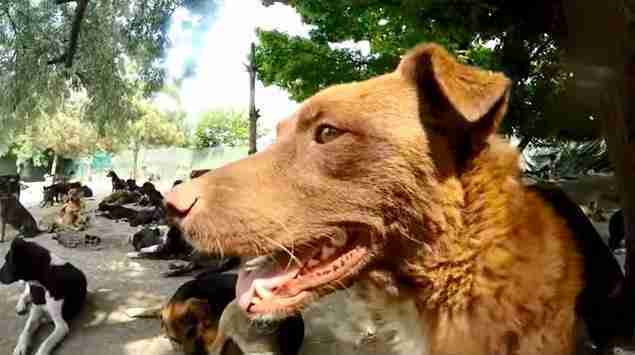 At this sanctuary in Serbia, 450 formerly homeless dogs run and play together all day. And it's all thanks to one man. Sasa Pejčić couldn't stand to see all the suffering of street dogs all around him - abused, underfed and lonely dogs were everywhere he looked. The only alternative to life on the streets was death at the hand of dogcatchers. So he started to take in as many as he could afford to care for, and soon found himself running a shelter for hundreds of dogs. With Pejčić, these dogs who've never had a home get the medical care they need, all the food they want and soft beds to sleep in at night. They're all spayed and neutered, and dogs who need wheels get them. Most importantly, they have the love of dedicated humans (not to mention a giant pack to play with). Pejčić runs the shelter out of old riding stables he took over a few years back. His lifesaving work, and his small staff, is supported by The Harmony Fund, an American organization that works to aid small animal rescues around the world. "Here they are loved and not expected to do anything other than to simply be dogs," Laura Simpson, founder of the Harmony Fund, told The Dodo. "Many are adopted out internationally to good homes, and others will spend their remaining days at the sanctuary." 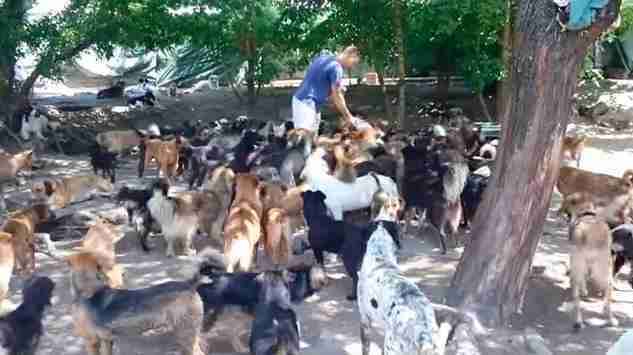 This shelter, and the 450 dogs who live there, rely mostly on donations for food and other expenses. 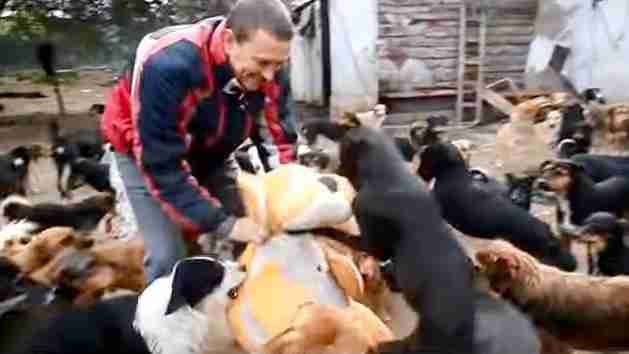 Without Pejčić, these dogs would have no home, no food and no hope. Thanks to him, their lives are basically doggie paradise. For information about how to help support these dogs, check out this donation page.